Genetic testing and screening are two different things. Genetic testing is offered to individuals. 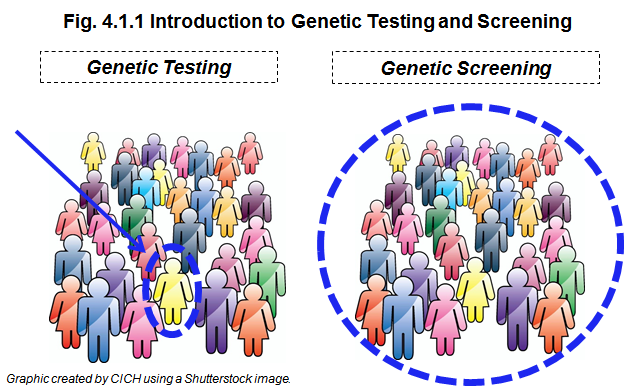 Genetic screening is offered to populations. Genetic testing is offered to a specific individual. The purpose of genetic testing is to diagnose a genetic condition based on family history or symptoms.